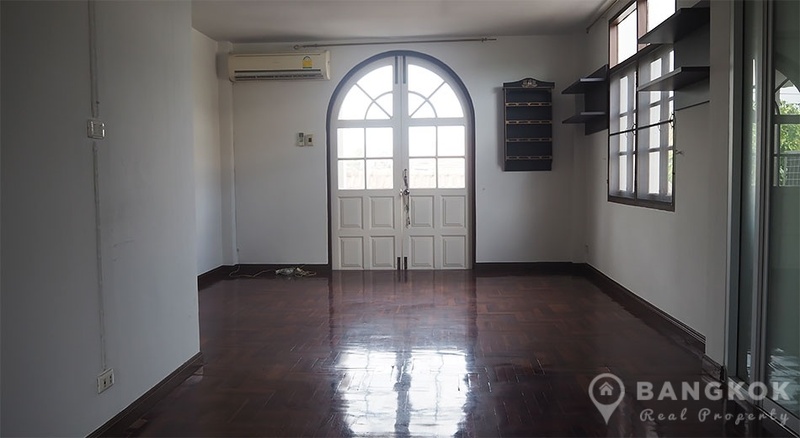 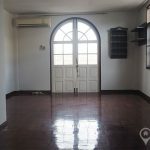 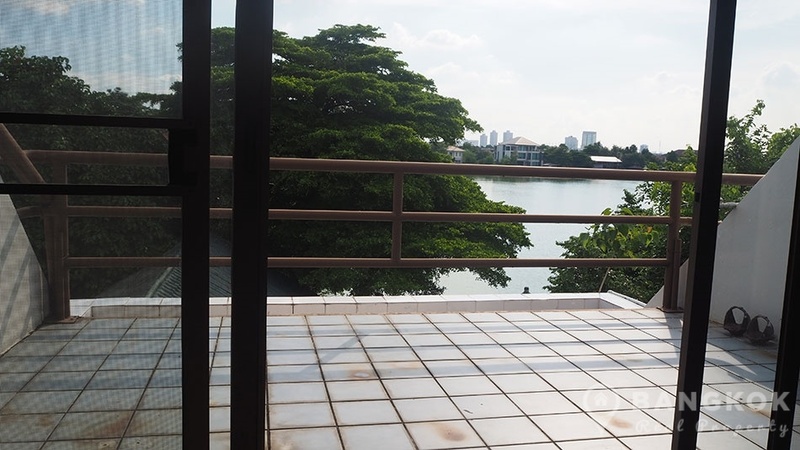 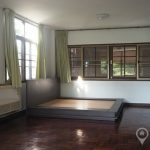 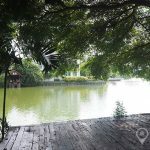 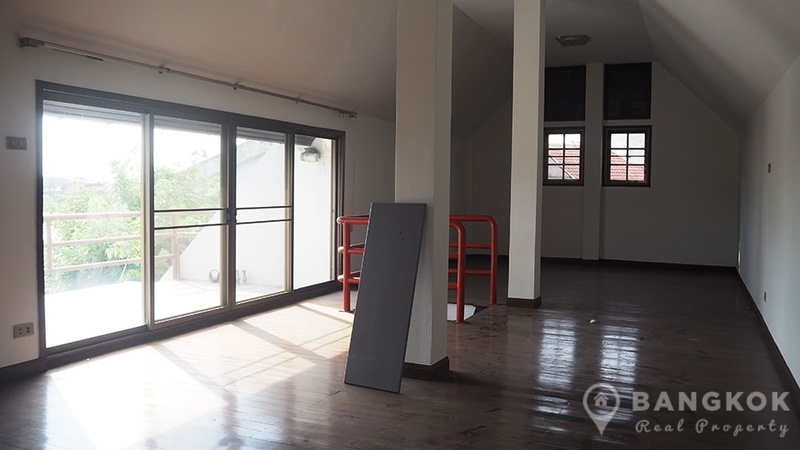 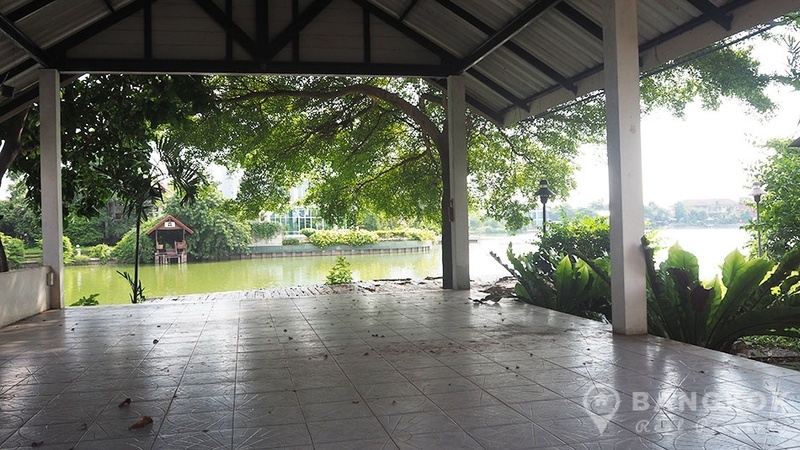 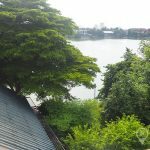 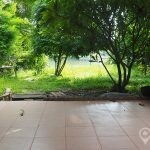 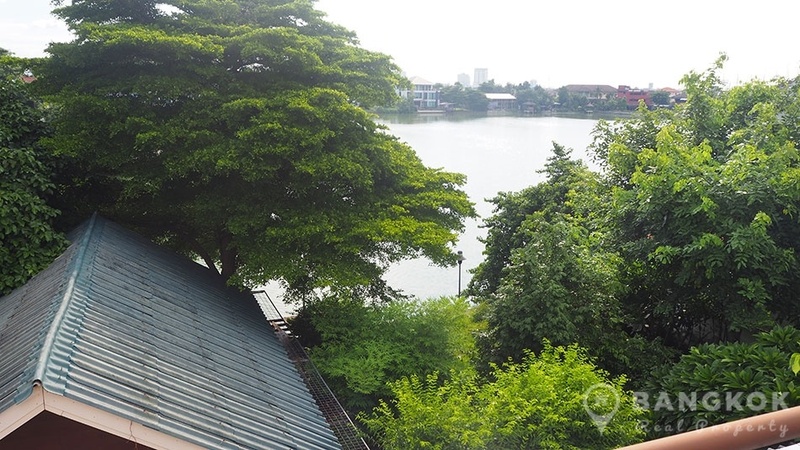 A unique opportunity to acquire this large detached 3 bedroom lakeside house at Sammakorn Ramkhamhaeng which is now for sale. 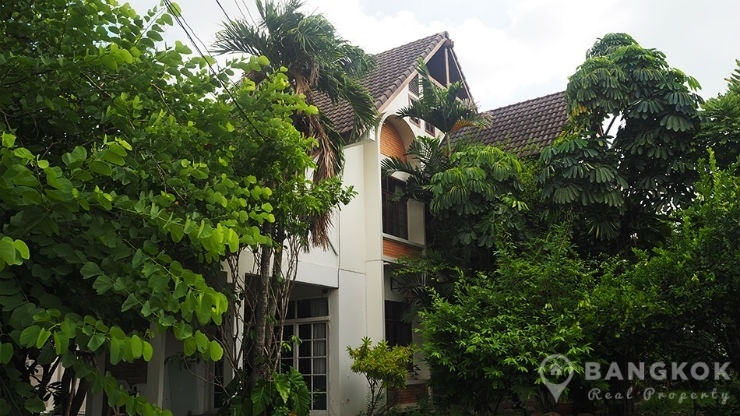 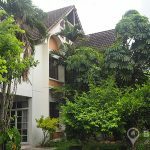 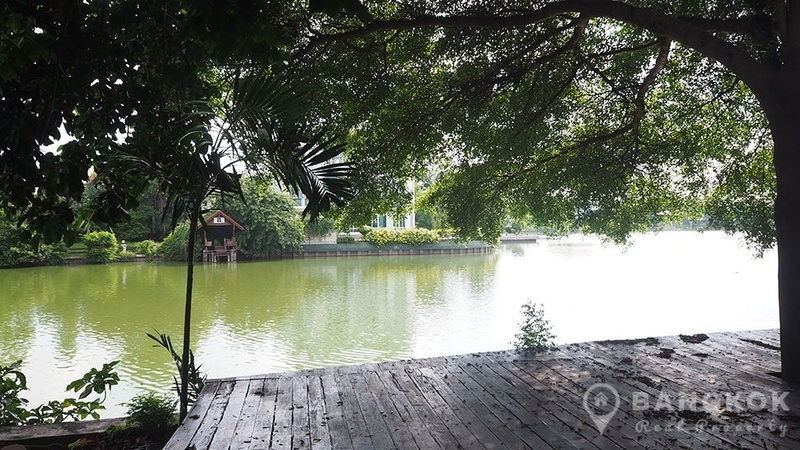 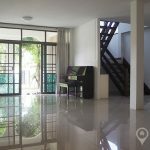 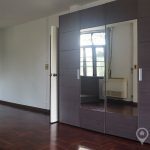 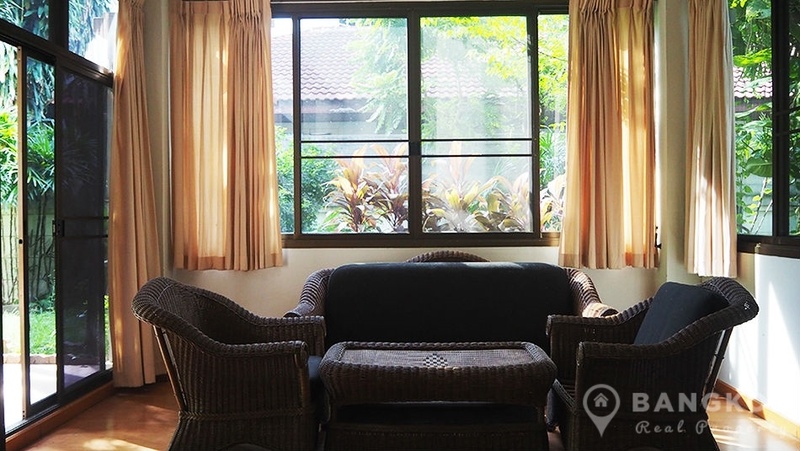 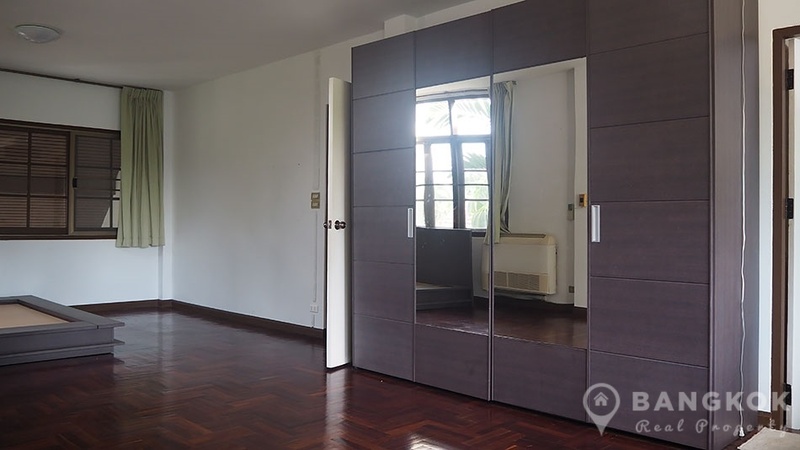 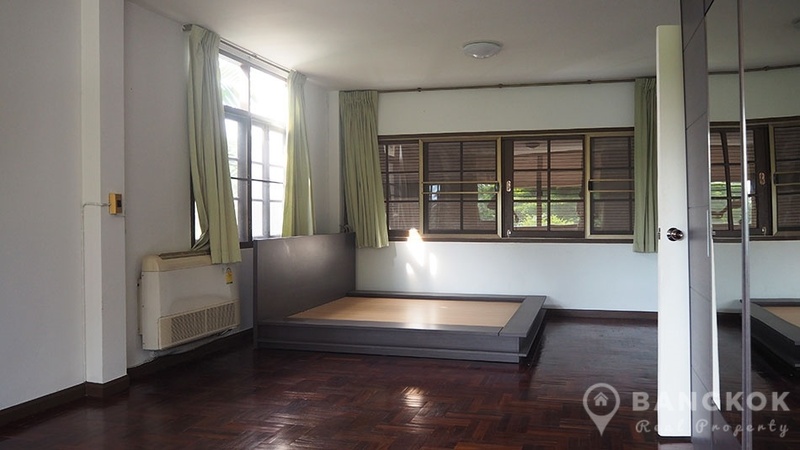 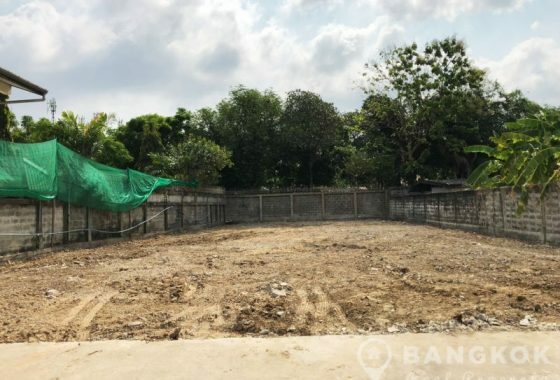 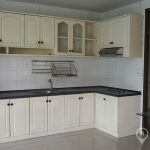 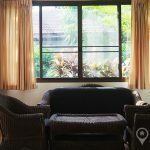 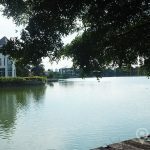 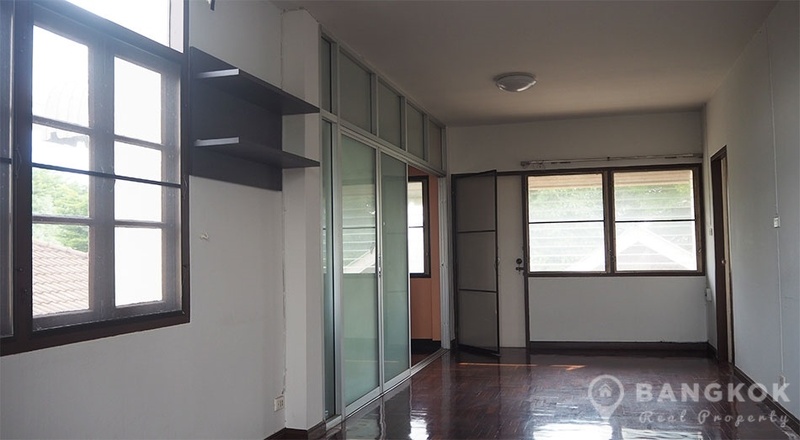 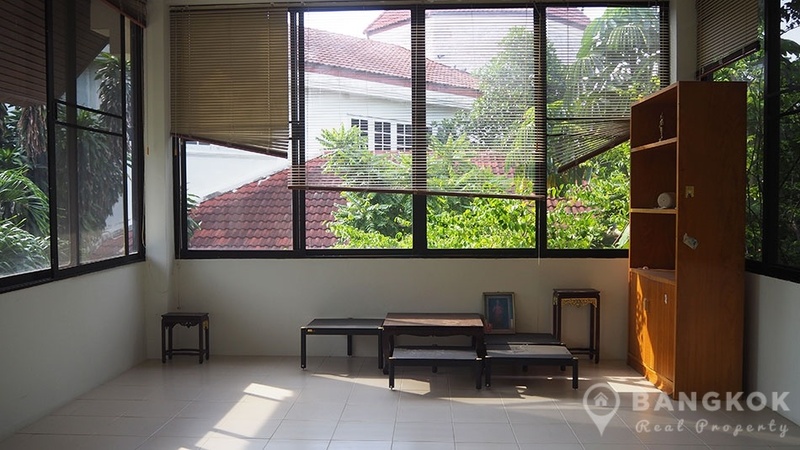 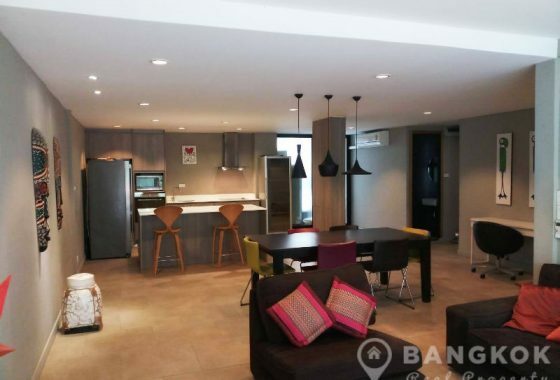 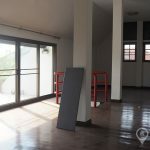 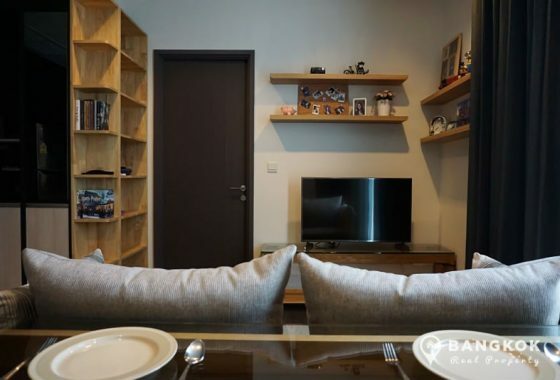 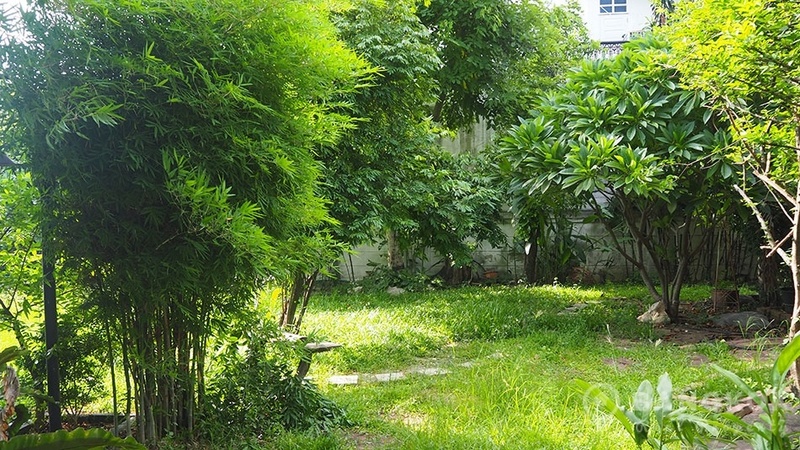 Located within increasingly popular Sammakorn Ramkhamhaeng Village, this property sits on and has direct access to one of the several lakes in the Village. 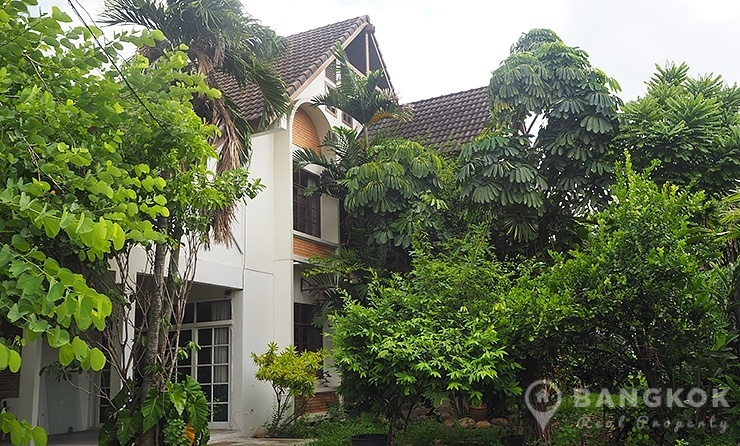 It is ideally located offering easy access to a large range of amenities, restaurants, shops, Golden Place, Pure Place Mall, the new Paseo Town Mall and easy access to great international schools such as Bromsgrove and Ruam Rudee. 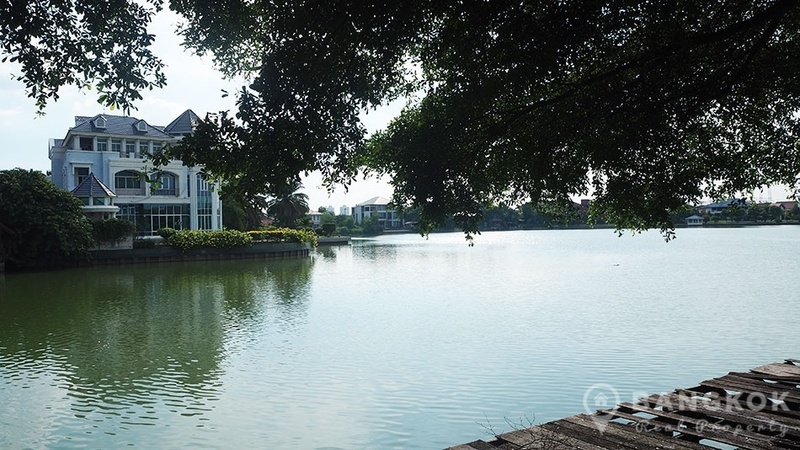 The village is only a short drive away from Ramkhamhaeng ARL (airport link) station and the outer ring expressway. 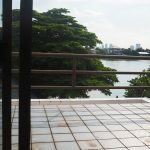 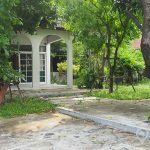 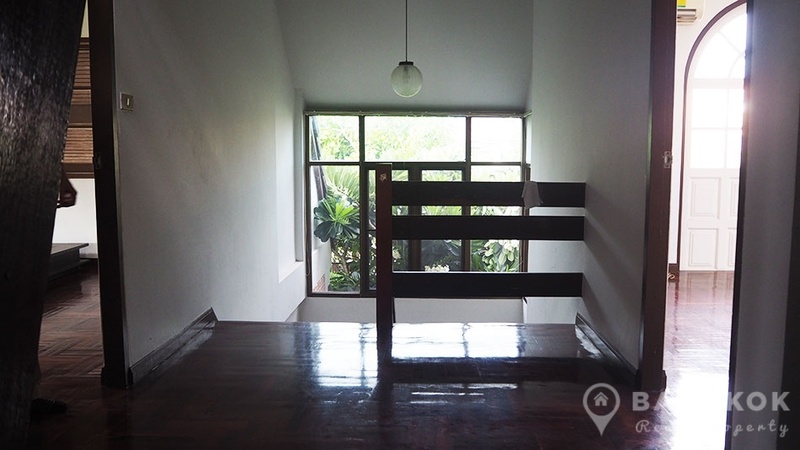 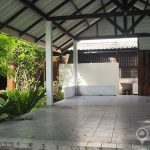 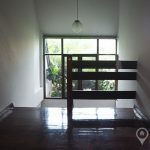 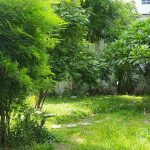 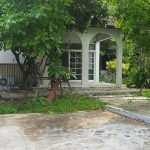 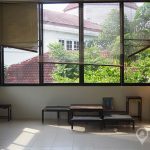 This Sammakorn Ramkhamhaeng house sits on a large plot of 200 sq.wah and with 3 floors the house has 450 sq.m of living space. 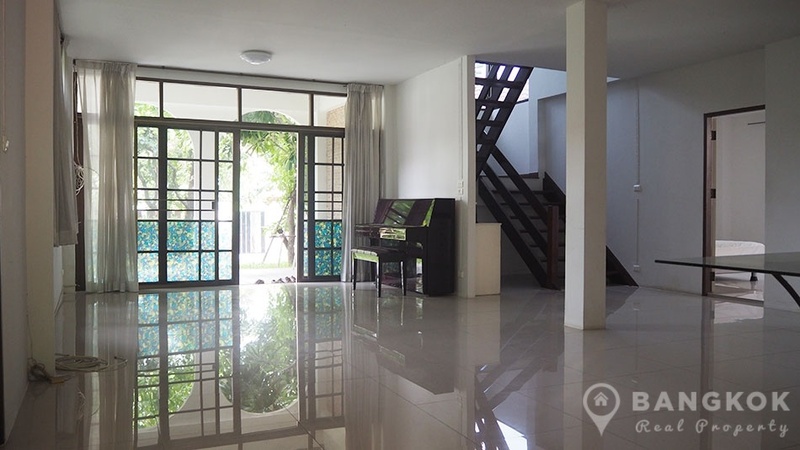 An open plan entrance hall and livingroom space opens onto a modern kitchen with a 2nd livingroom area. 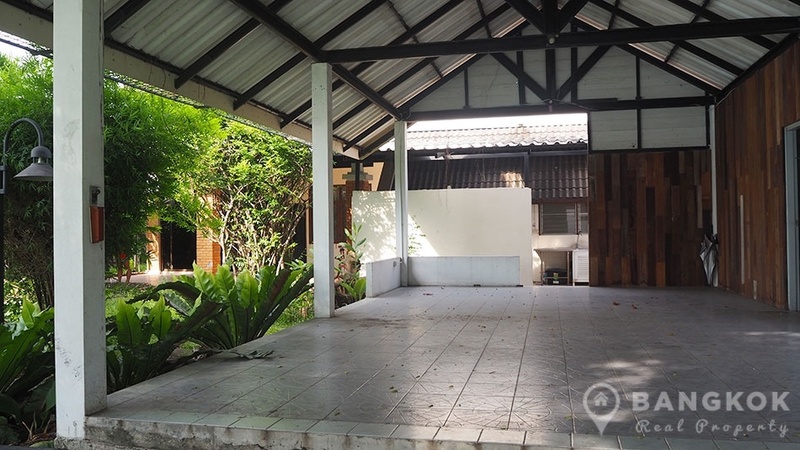 There is a guest bathroom and currently bedroom 3 on this level with a ensuite bathroom. 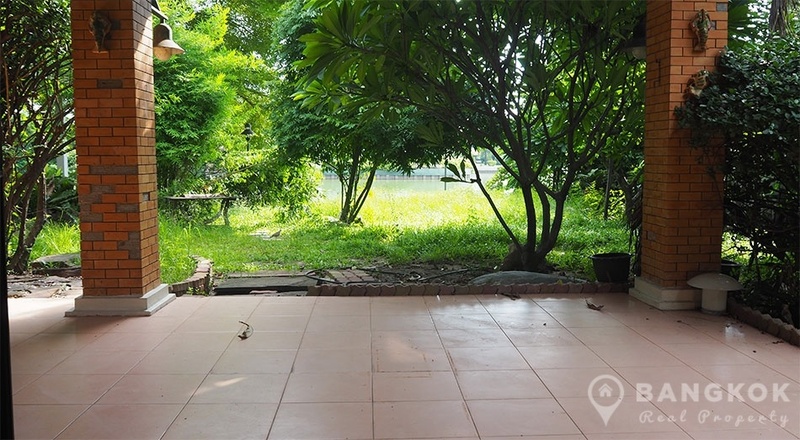 Outside to the front and rear are large covered terraces overlooking the large mature gardens. 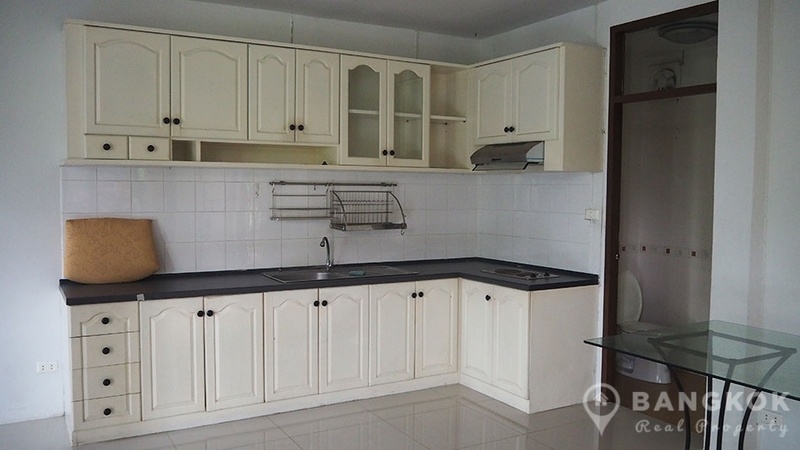 There is a Thai kitchen, utility room and 2 maids rooms outside. 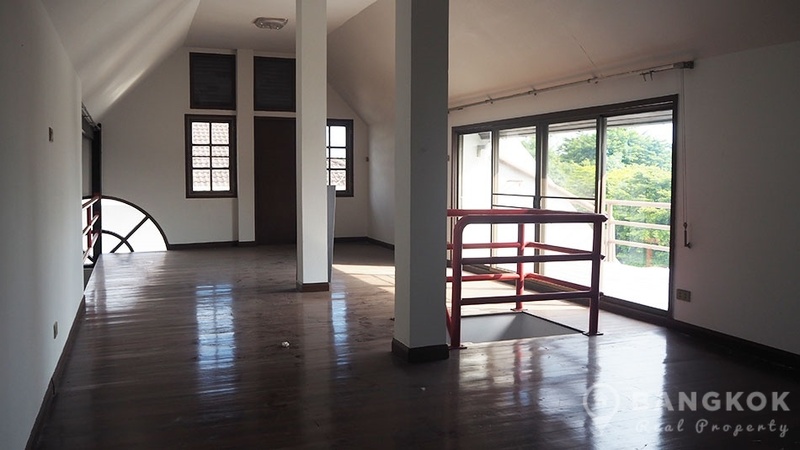 Upstairs are 2 very large bedrooms, the master with an additional livingroom area / prayer room overlooking the lake. 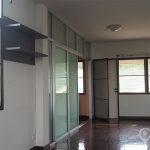 The ensuite bathroom is shared with the 2nd bedroom. 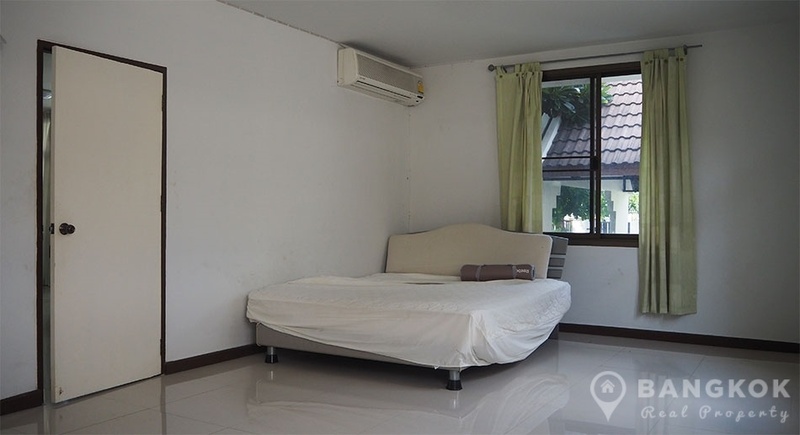 Bedroom 2 is also large and has access to a private balcony. 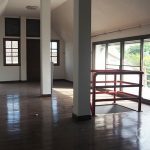 On the 3 floor is a large “loft room” which could have several uses and it has a large private terrace with stunning views over the lake. 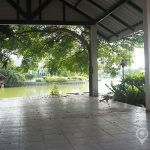 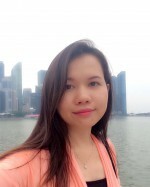 Outside there are mature, gardens with lawn and shrubs and 3 sides and a large “sala boat house” overlooking the lake with direct access to a private jetty (pier) onto the lake. 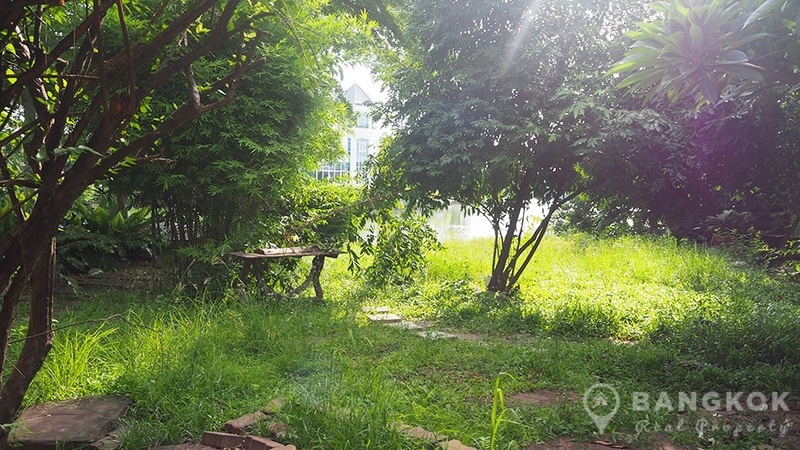 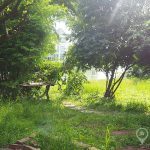 This is private and for residents use only. 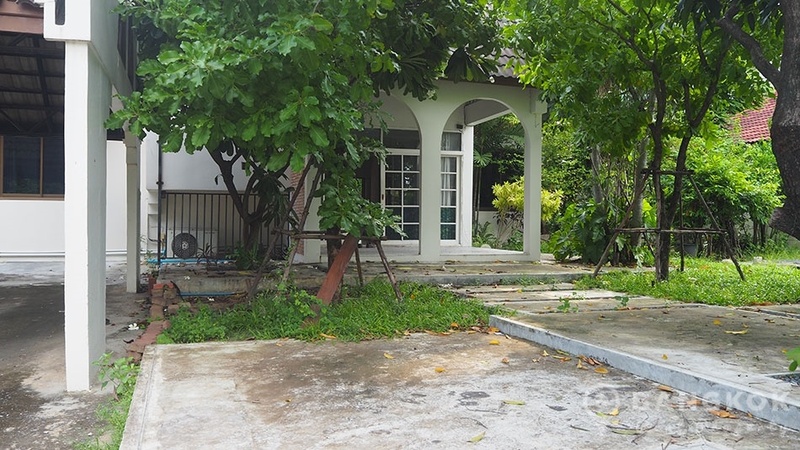 To the front is a car port for 2 cars. 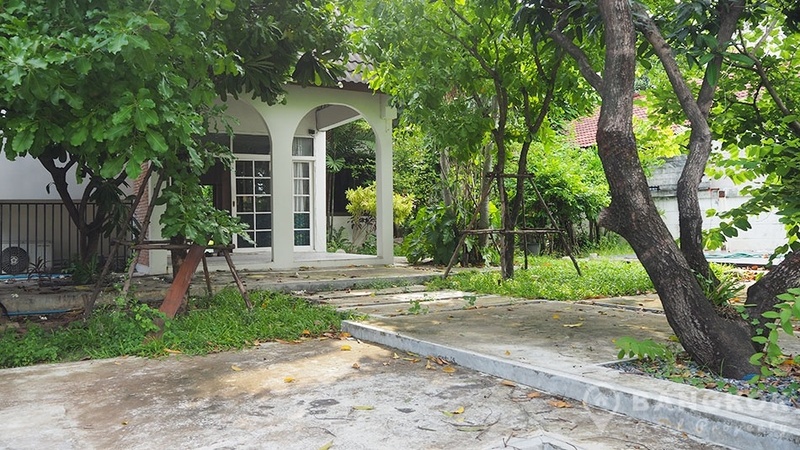 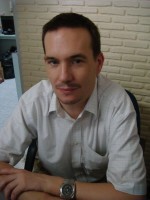 All Taxes and Transfers at the Land Department will be paid by the owner.